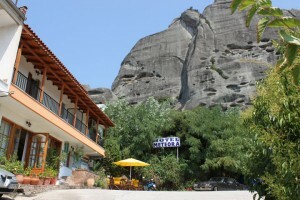 Hotel Famissi is located at the entrance of Kalambaka, near the central railway station, right below the magnificent, eternal rocks of Meteora. 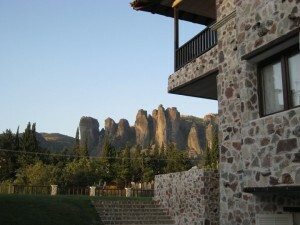 Its comfortably furnished guest rooms are heated/air-conditioned and have private balconies with stunning views of Meteora. Guests can dine at the restaurant and enjoy local specialties or relax in the comfortable lounge with its delightful fireplace. 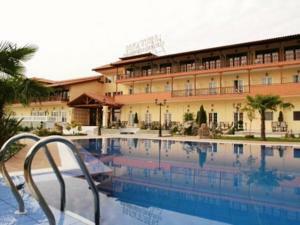 The main bar situated in the lobby area offers drinks in a relax atmosphere. 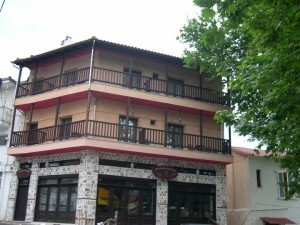 General: Restaurant, Bar, 24-hour front desk, Non-smoking rooms, Lift/elevator, Express check-in/check-out, Heating, Air conditioning, Sun terrace. 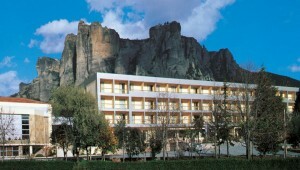 Services: Room service, Fax/photocopying, Concierge service.